Aquamobil is a mobile underwater massage unit with a hose and 3 interchangeable nozzles. The device also has a valve with a steady pressure regulation which gives the therapist full control over underwater massage. 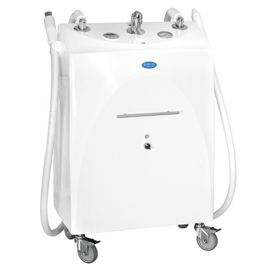 The treatment can be applied in hydrotherapy tubs and pools. The device has a nice function of self-cleaning.